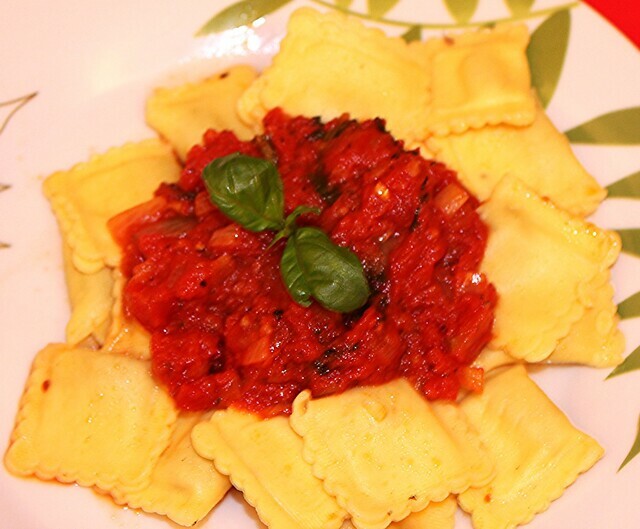 Marinara is easy to make yet delicious sauce, goes well with wide variety of pasta, spaghetti. If you are like me who do not want to spend long time in the kitchen during weekdays after long day in the office, this is the perfect recipe. 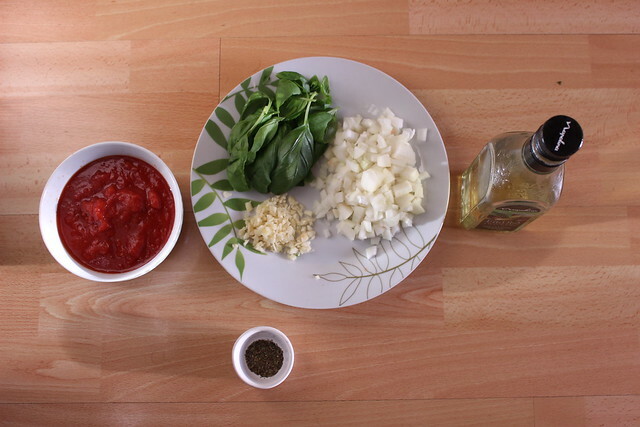 There are different variations of Marinara sauce, the one I made is simple but delicious one. 3. 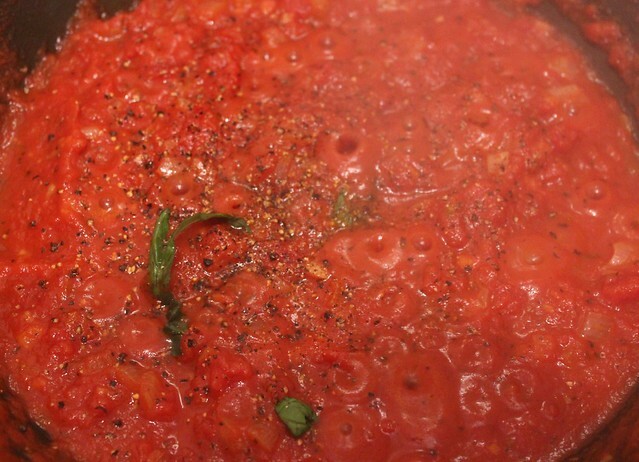 Add Chopped tomato, dry Basil and salt. 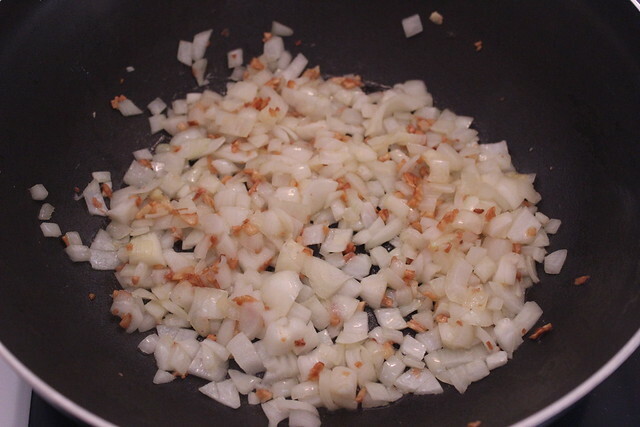 Simmer it for 20 minutes in low heat. Alternately, Sprinkle grated Parmesan cheese on the top. I prefer the sauce slightly thick so I used 2 packs of tomato, 390 grams each.